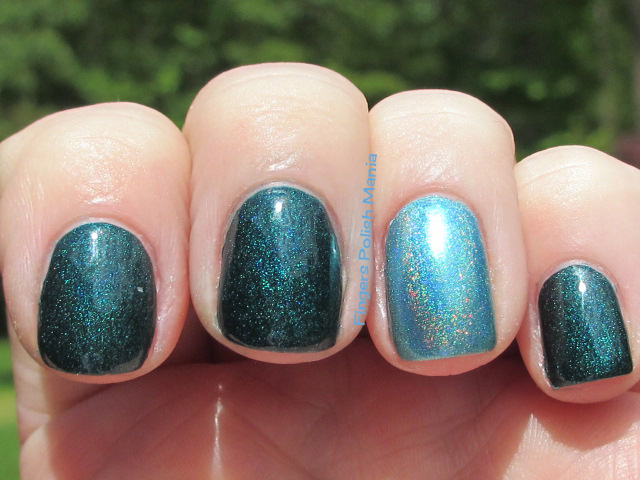 The sun came out to play so you all know I'd be cracking out more holos. I was asked how many I have. The answer is way too many!! I went and counted and I have a nice even 75 holos! I have about 15 more on the way! Can you even imagine just how excited I am?? Whatever you're imagining-double it! 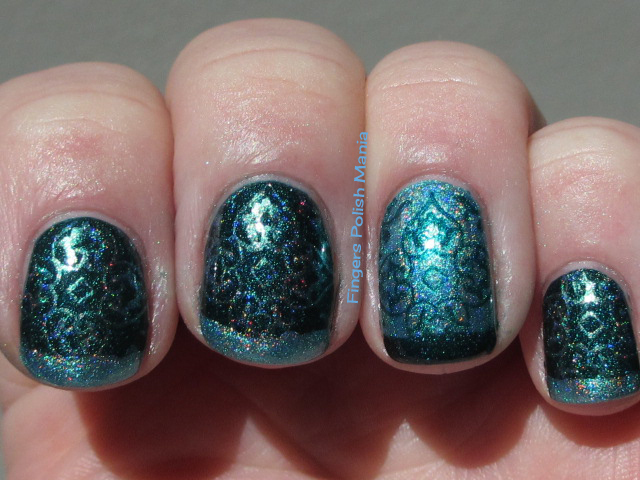 Holos are my crack. I just can't get enough. The rainbows make me happy. I don't have any good stories for you today so let's just get on with the happy ok? 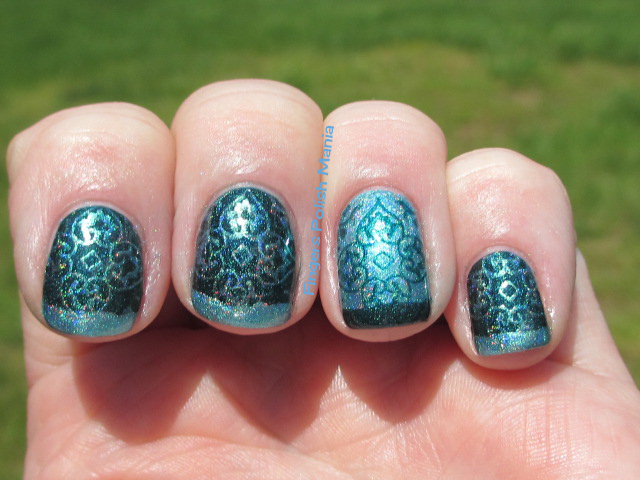 This is A England St George and Enchanted Polish Ocean Potion. I started with George and an accent of Ocean. Here are the starting shots. Damn-when did my nails get so long? I've had nubs for so long. I have to say I cut out all hardeners and am just a maniac with the oil. I apply it all day long. It seems to really have made a huge difference. I've grown out all my peelies and splits. I do need to do some shaping. They are seriously in need of that! I know George doesn't look like much here-just you wait!! 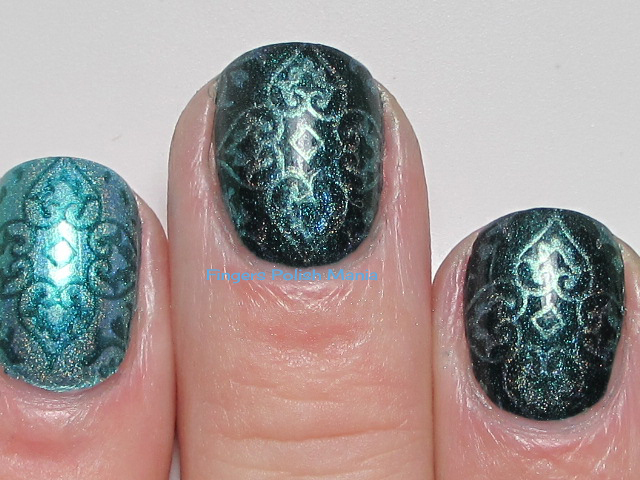 Next I stamped with the opposite color using Cheeky jumbo plate 3 European Romance. Here is that step. Pretty cool so far right? I finished with my funky-like you didn't already know that! Here are the results. Now look at George! In lower light, he just pops with the rainbows! I could not stop staring at my nails the whole time this was on. It was crazy silly. 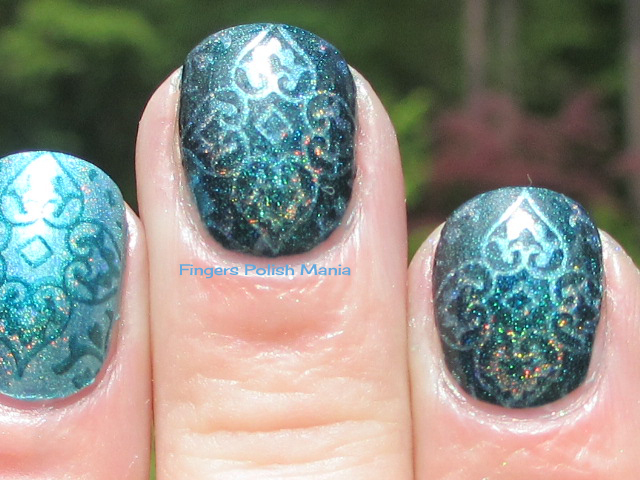 Are you addicted to holos too?